Could America possibly have a more relevant poem right now than this one? Thanks to a wonderful article* by Walt Hunter in The Atlantic, “The Story Behind the Poem on the Statue of Liberty–and thanks to a very un-wonderful comment by the president–I’ve been thinking a lot about Emma Lazarus’s poem. Hunter’s article points out many features of poem which I had never thought about before: its unusual structure (Petrarchan Sonnet–can I get a “yeah” from my English nerds? 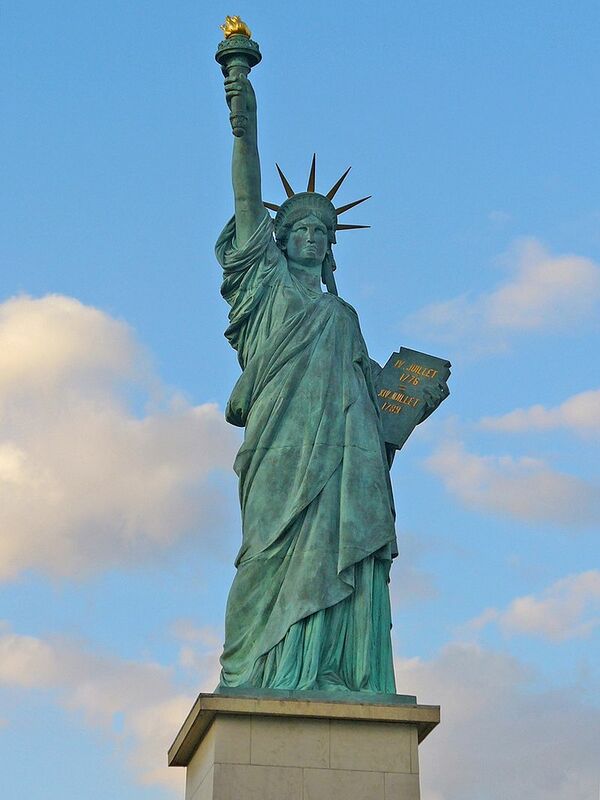 ); its usage by various politicians in underlining our favorite dream of American exceptionalism; the nuance of the statue’s gender in contrast with statues of yore. “We are here because you were there.” America has immigrants because the global system we benefit from displaces people. But lucky us–we BENEFIT from those desperate people. Raise your hand if you’re a child of immigrants. Thought so. Can’t find a way to talk about this with your anti-immigrant neighbor? Yeah, I struggle with that too. Meanwhile–stay involved. Stay heartened. And VOTE. *Note: shout-out to Maria Popova’s Brain Pickings for bringing this article to my attention. This entry was posted in Wing's Words and tagged Brain Pickings, DACA, Dreamers, freedom, immigration, justice, Maria Popova, poetry, shithole countries, statue of liberty, The Atlantic, Walt Hunter by gretchenwing. Bookmark the permalink. Very good point. Thanks for sharing your reading.